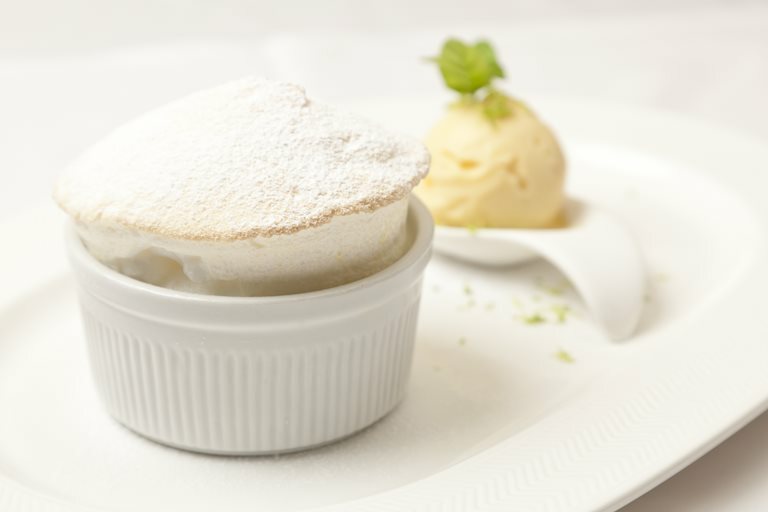 Lemon and lime are good bedfellows and are paired in this delicious lemon soufflé recipe from Andy Waters. Leftover lemon purée can be used for other desserts — added to cream for a zesty fool is one delicious option. Butter and sugar 4 soufflé dishes, gently pour in the mixture and lightly smooth the top.